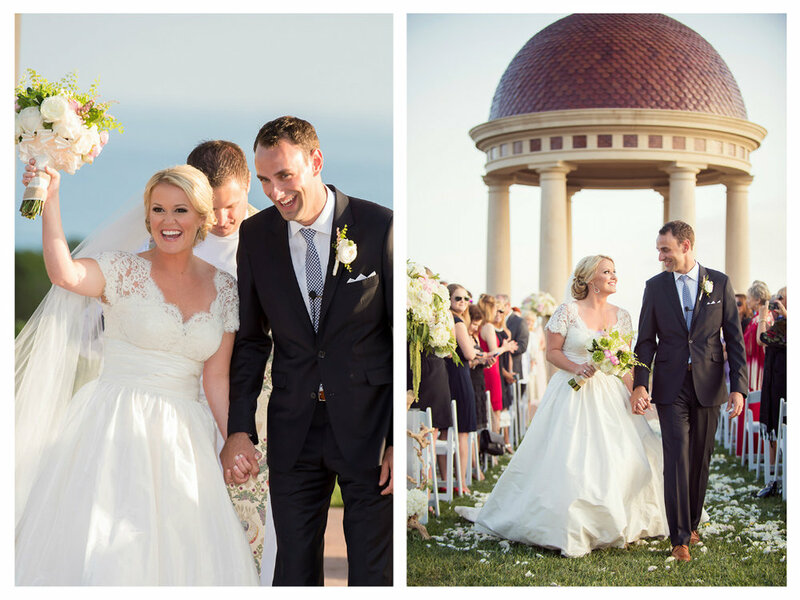 We are excited to share Allie & Dan's gorgeous wedding at Pelican Hill. The design and decor were a dream for us to illuminate. The large suspended floral arrangements with lush greenery and tables filled with blush and cream colored centerpieces were accented by Elevated Pulse's blush up lighting and pin spot lights. The gold dusted driftwood really complimented the Bride and Groom's love for the outdoors. 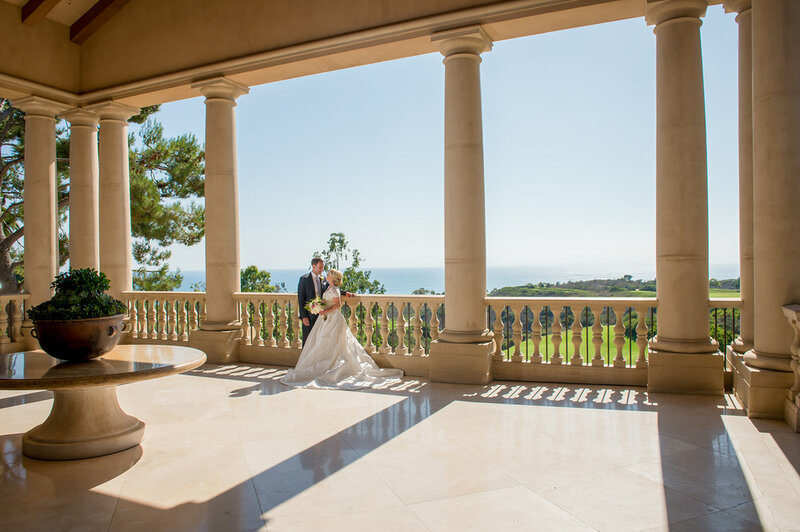 The entire wedding, from the breathtaking ocean view ceremony under Pelican Hill's rotunda, to the effortless elegance of the ballroom reception, was perfect. Elevated Pulse was also lucky enough to provide wedding DJ services and photo booth for some additional fun for the guests. We think the images speak for themselves so enjoy! You can see more of this stunning wedding featured on WedLuxe Magazine.